Although i'm sure it's clear as day, judging from the history of my blog entries, I'll be the first to admit that I'm more of a "Main Course" kind of guy. It has come to the point that the dessert section of the menu is often neglected. I take a glance at it, and pick out something I want. But in the end, I often use that stomach space (and budget) for another entree. But one dessert item that I do have a soft spot for, is Cheesecake. 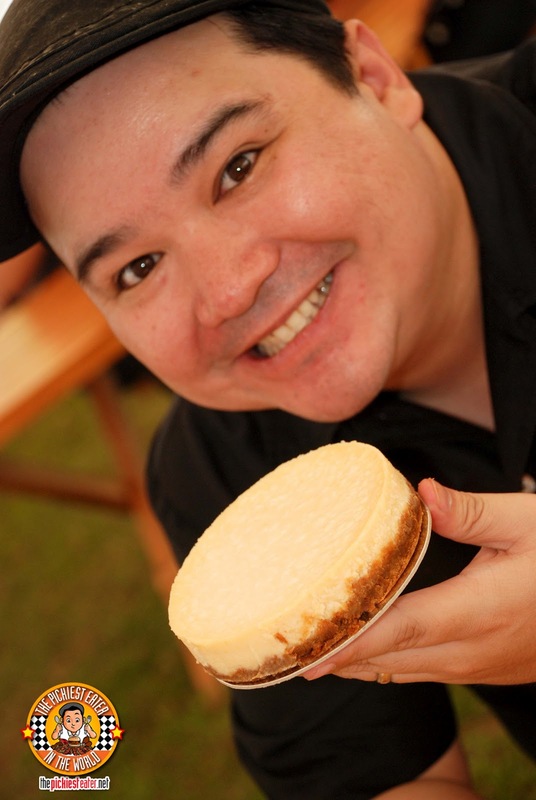 Awhile back, I got the opportunity of tasting one of the best cheesecakes I've ever had in my entire life. I have tasted a lot of cheesecakes in my life, but this intrigued me because I had never tried a Quezo De Bola Cheesecake before. And so begins my love affair with "Indulgence by Irene", The best Cheese cake you've never heard of.. By I have a feeling that's all going to change, very soon. Before I go on any further, I must warn you this. Once you try Quezo De Bola Cheese cake, you can't imagine having it any other way. If you are a cream cheese purist, Don't worry, I have something else for you as well. 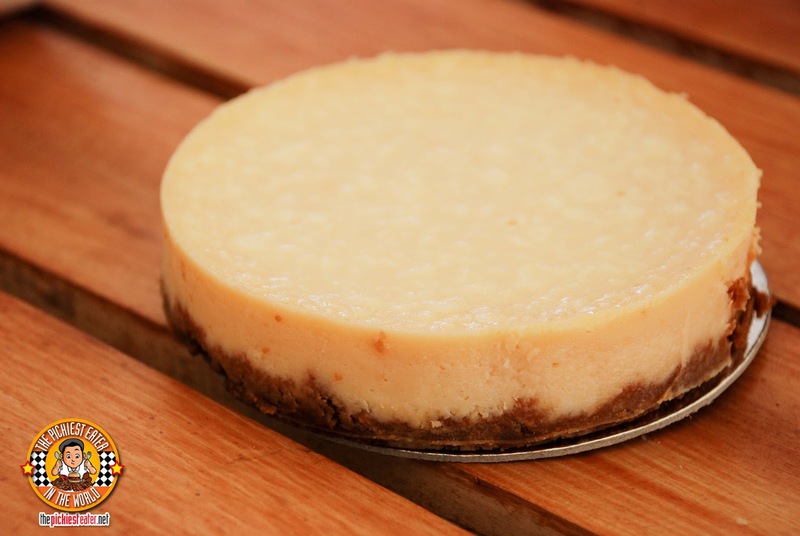 But I cannot stress enough how amazing the Quezo De Bola Cheesecake is. Slicing into it, the first thing I noticed was the density. This wasn't the type of Cheesecake that you worry about melting or getting mushy. It held together firmly, yet the fork went through it like a hot knife through butter, leaving me convince that this was done with remarkable technique. On your first bite, you instantly think that you've taken a bite straight out of a block of Quezo de Bola. You get the unmistakable sharpness of the cheese, but just when you think that you've gotten an actual piece of Quezo De Bola, your taste buds are taken for a ride, and you suddenly begin getting a flood of delicate creaminess into your mouth. The contrasting flavors are then unified by the oh-so-buttery Graham Crust base. I guarantee you this.. one bite is an impossibility. 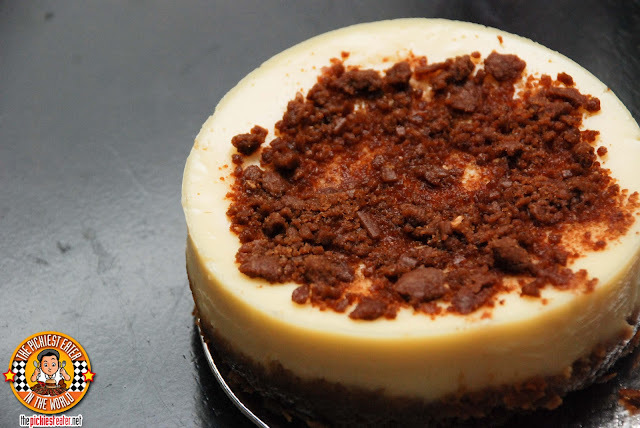 Indulgence By Irene also has a Chocnut Cheesecake variant that is nothing short of exceptional. This one stays true to the Cream Cheese nature of Cheesecake. Again, the consistency of the cake itself was firm without being mushy. The Graham crust was again, moist and buttery and didn't crumble when a fork was driven through it. 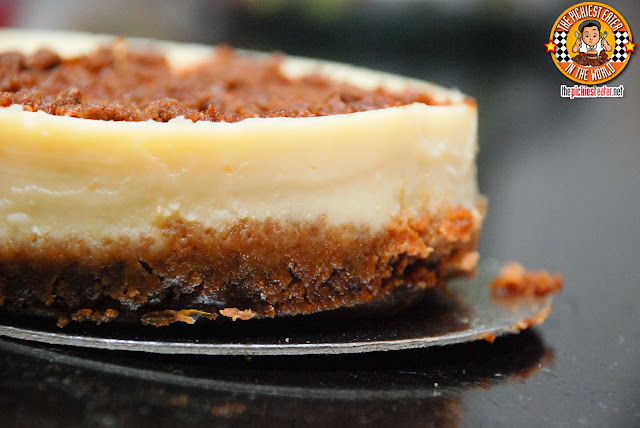 In both cheesecakes, one thing that was highly evident, was the incredible smoothness of the cakes. Save for a few bumps here and there, there was hardly any bubbles or gaps. The light tartness of the Cream Cheese played along with the nuttiness of the crumbled Chocnut. Though there was a generous helping of Chocnut on top of the cheesecake, It wasn't too overpowering.. It was a wonderful compliment to the excellence of the cake. These cakes are perfect gifts for the Holiday Season.. meaning if anyone is interested in giving me a gift, I won't be saying no to this! hehe..
Wooot! That's heavy :) Love the idea of quezo de bola. Nom! I wasnt sure if it would work at first.. Boy was i wrong!! I actually miss it!! Pero I can't finish naman the 9" one!! Hahaha..